From there, glue the candlestick holder to the bottom of the smallest plate and another candlestick holder to the bottom of the medium plate using the glue sparingly (as I know from experience it will bubble up and look diseased if you use too much). Allow them to dry completely before gluing the open ends of the candlestick holders to the centers of the biggest and middle sized plates. In order. Just use your brain, you got this. Look at that beaut. Fill the plates with pretty things like buttons and flowers or Valentine's Day things like chocolate covered strawberries and edible underwear conversation hearts. OK. so your sister needs to decorate my whole life. KTHANXBAI. This is awesome! I think it would be so much fun to have parties like this with friends. 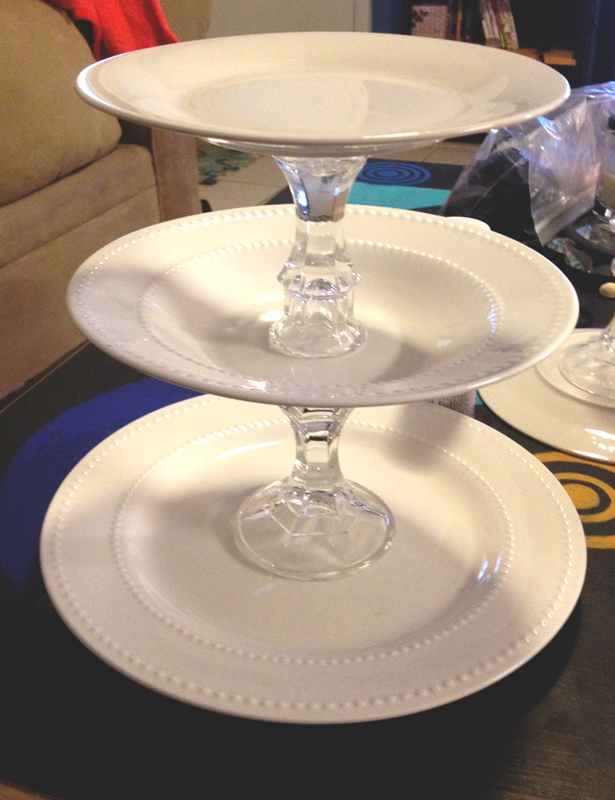 A little DIY-ing and a little wine sounds like a great night. I've always wanted to do a paint and sip class, but this almost seems like a better option. That top picture is so pretty! It's totally begging for a tea party. How cute!? Would be good for a jewelry holder too. CUTE!!!!! I want a tea partyyyy.